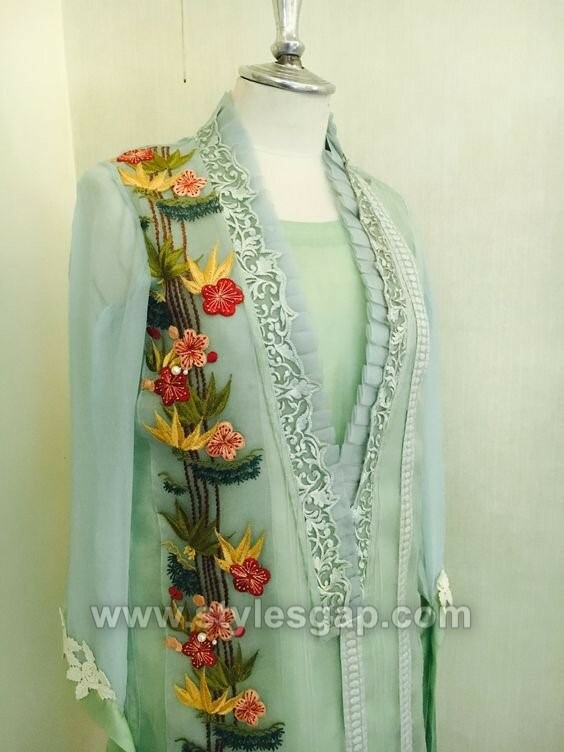 Other than modern fashions and trends of women, there is a side that can never be forgotten by designers and that is traditional wears. 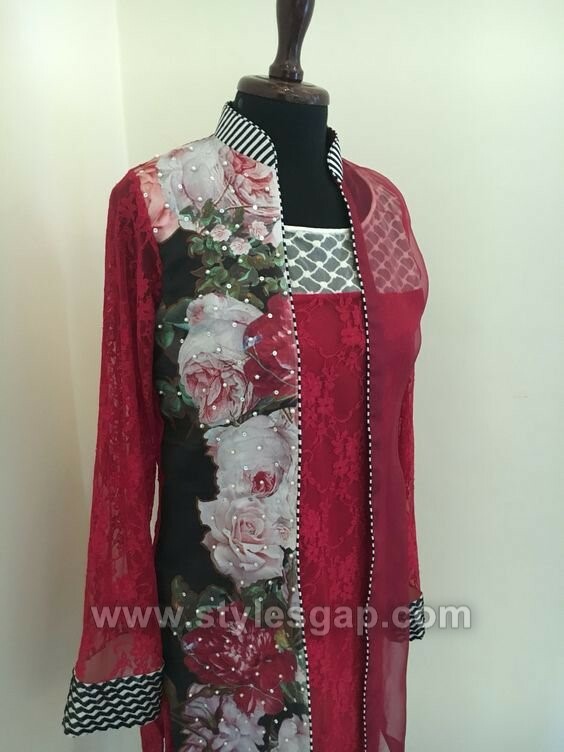 Fashion designers these days are depicting traditional clothing of eastern countries with amendments in designs. India is known for preserving its traditions and cultures since it came into being either in food, clothing or else. 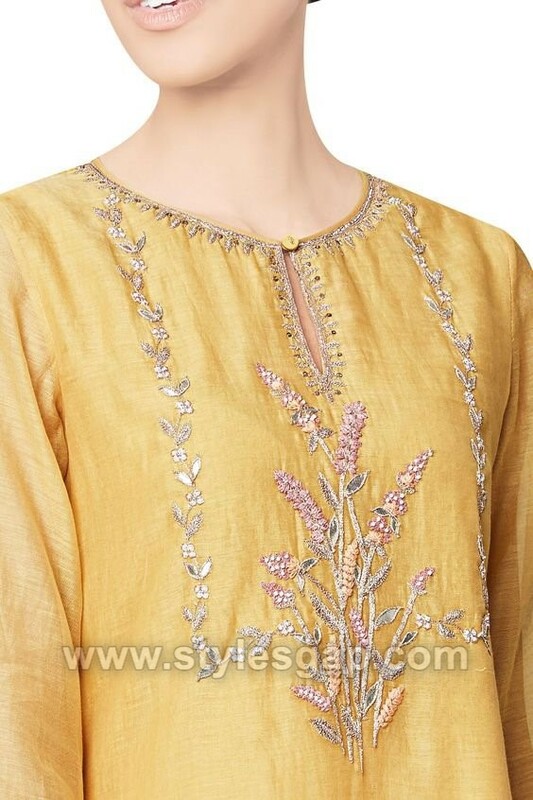 When we talk about clothing, salwar suit is one of the trends that is being elegantly preserved from years, definitely, designers know about modern customer demands, so they have kept fascinating us with stylish and newer designs. 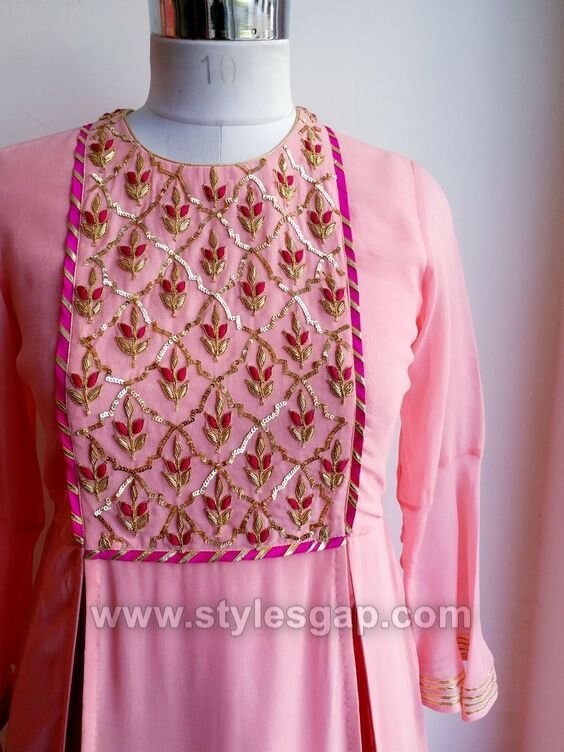 For a graceful and decent salwar suit, the concept of the elegant and fine neckline is very important. 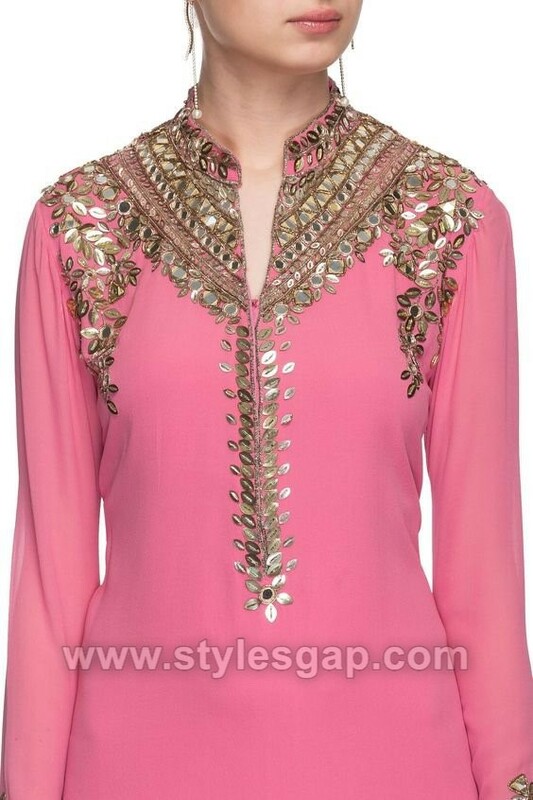 That is why here today we will discuss specifically the latest trends among necklines so-called ‘gala’. Latest Neckline gala designs collection 2019-2020 comprises of a very fine assortment of the plan, fancy, embroidered, v shape, angarkha style, bann, collar, and some others. 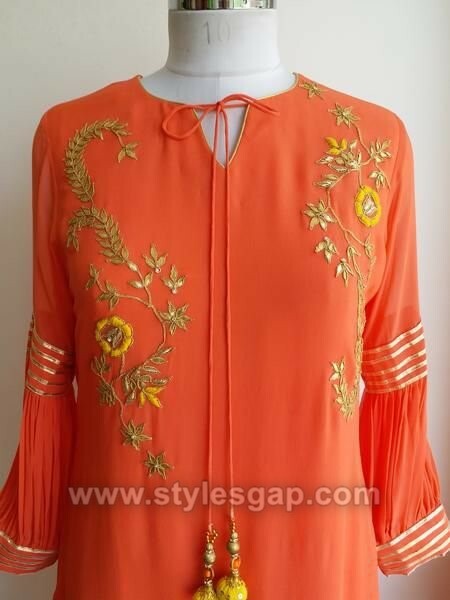 One should choose the neckline according to her face shape, shoulders, and neck and bust that which gala type will give the most suitable gesture because sometimes a bad choice can ruin the grace of your dress. 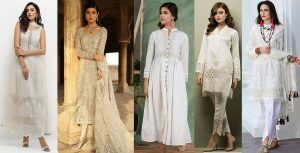 Choosing the most suitable one doesn’t mean that you always have to wear the same type that is why designers have always been providing with different and unique neckline trends than ever. Most women prefer V-shaped because it is an evergreen trend for the women of all ages. 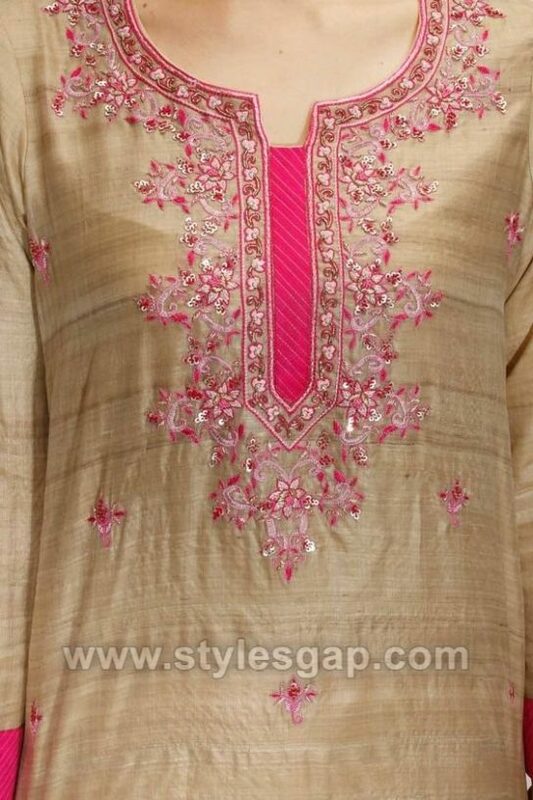 Moreover, gala is decorated with laces, prints, crystals, threads, and stones, making your simple kameez a bit extraordinary. 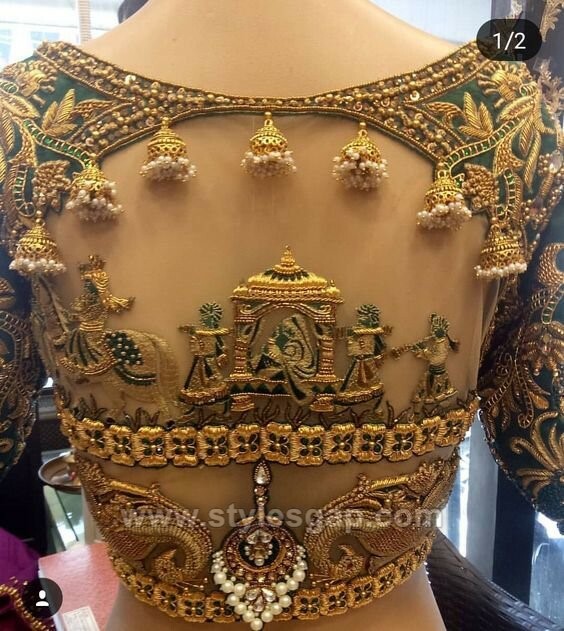 It also depends on the extent of the event or occasion you are going to wear some specific dress, that is why designers have launched categories of fancy and occasional wears according to the need of fashion lovers; the stones and embellishments are adorned around the gala for the events like parties etc., and plain laces stuff is used for the casual ones. 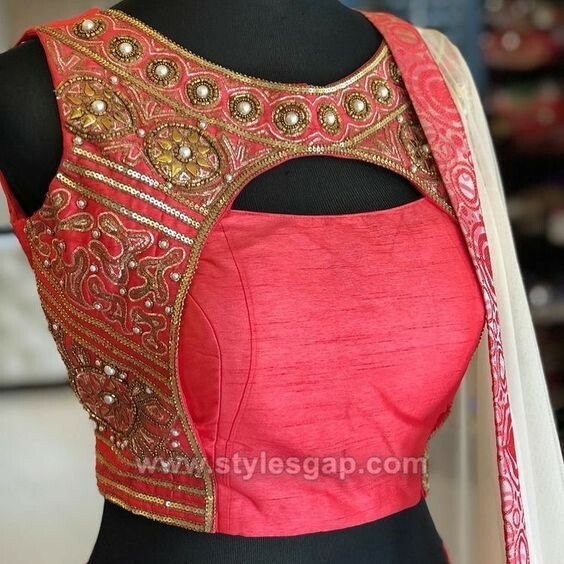 V-shape is the best choice among daily wears whereas if you are going to a party or a wedding function or else than there are specifically designed necklines with stones, velvet patches, jamawar, cutwork and thread works. Young girls and ladies who have long necks should prefer to wear high neck patterns like collared, buttoned, hooked and zipped high necklines look so amazingly adorable. 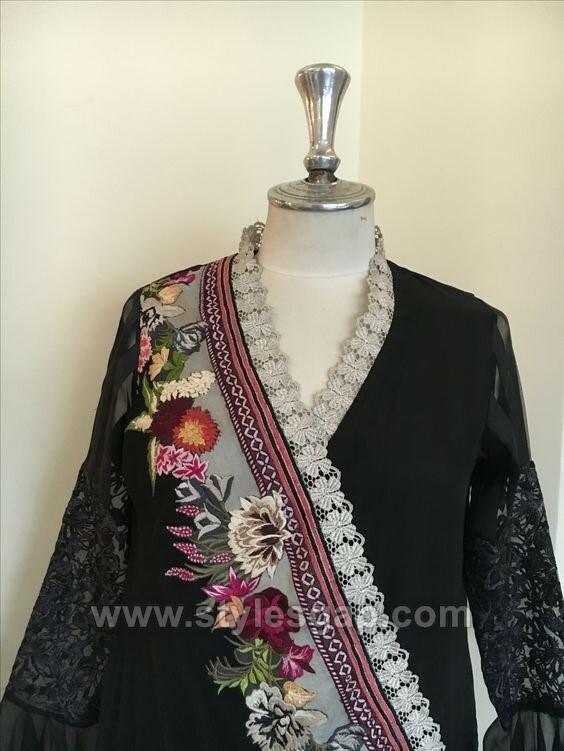 Furthermore, there is a variety of designs available in the gallery below that will show you the latest neckline trends of this year. 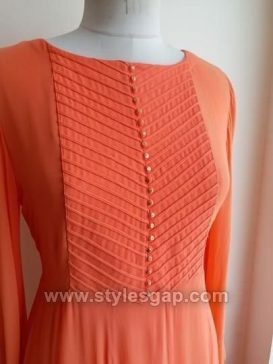 Here we are posting the beautiful neck styles of semi-formal party dresses which you can wear at gatherings, evening and day outs. 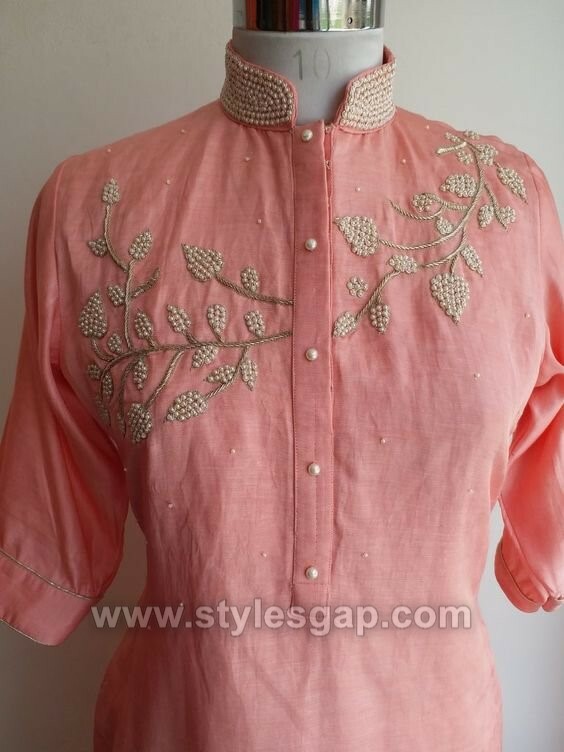 They are not heavy embellished or embroidered but kept simple and elegant. Hope so you will love viewing and choosing them. 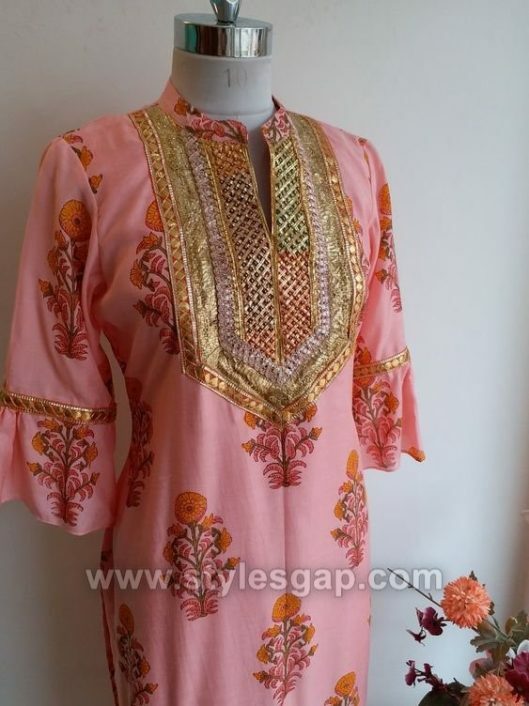 Kurtis and Tunics are well popular in Pakistan, India, Bangladesh and other Asian countries. 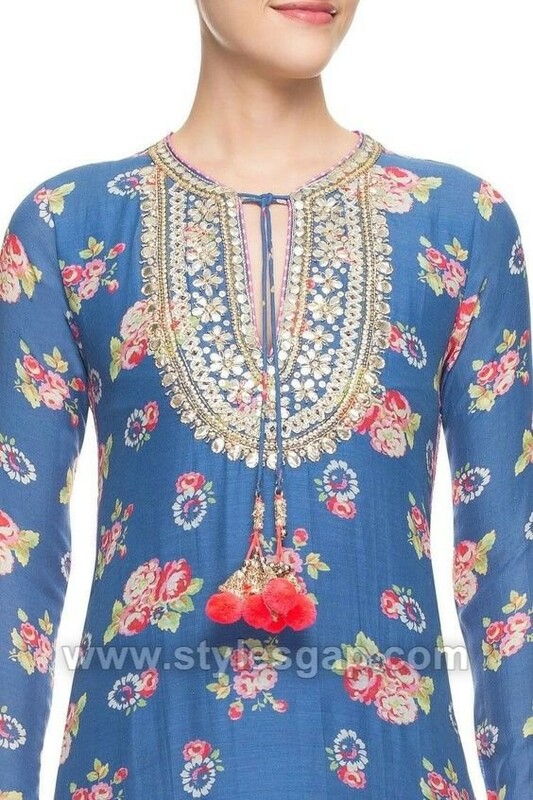 Mostly teenage girls prefer to wear kurtis and tunics. 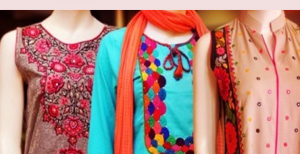 They are paired with jeans, Churidar Pajamas, trouser pants, etc. 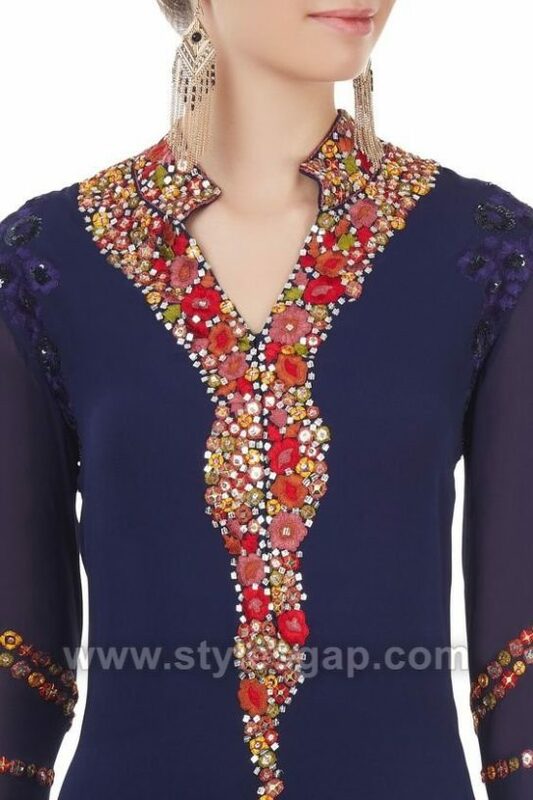 The images posted below will show some of the latest Neckline designs of Kurtis and Tunics for casual, formal and party wear. 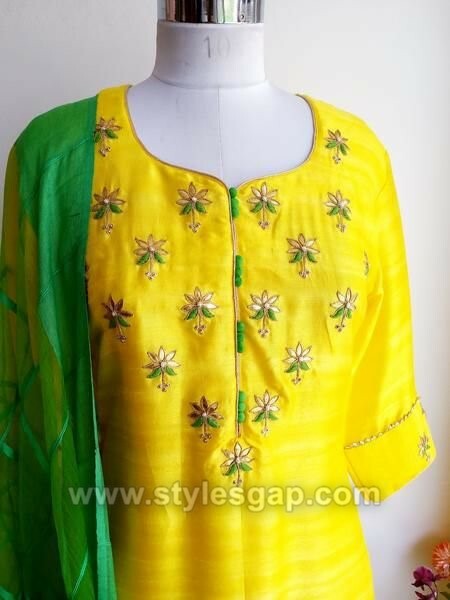 Churidar suits are mostly worn and favored by Indian ladies, but they are also preferred by other Asian women. 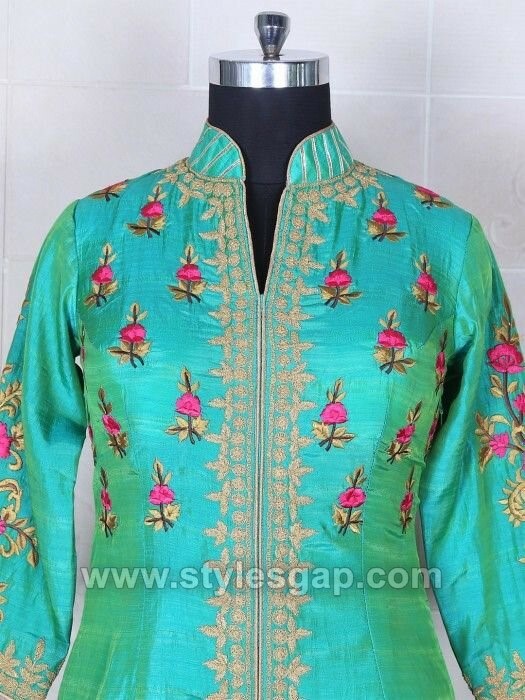 Churidar suits consist of Churidar pajama and a kameez type dress that may be a frock, shirt, pishwas, etc. 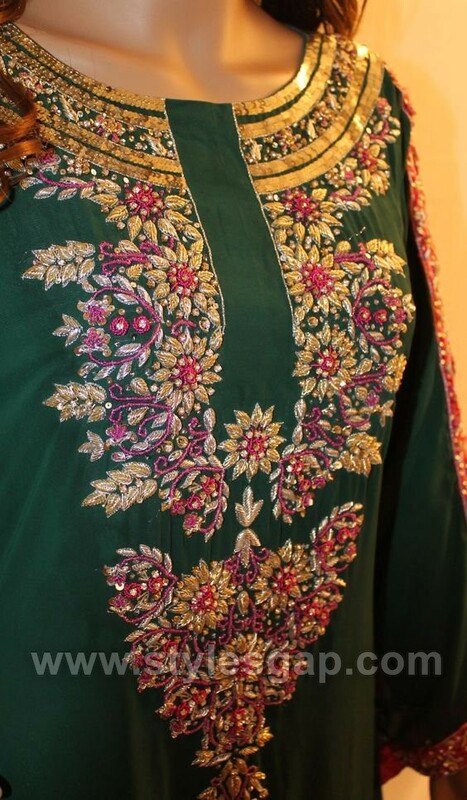 Embroidered Churidar suits are suitable for weddings and party functions. While casual ones are reliable for normal routines. 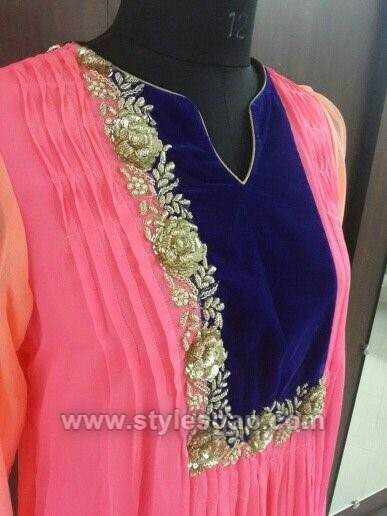 Here we have gathered some unique and best neckline designs of Churidar suits. Check below. 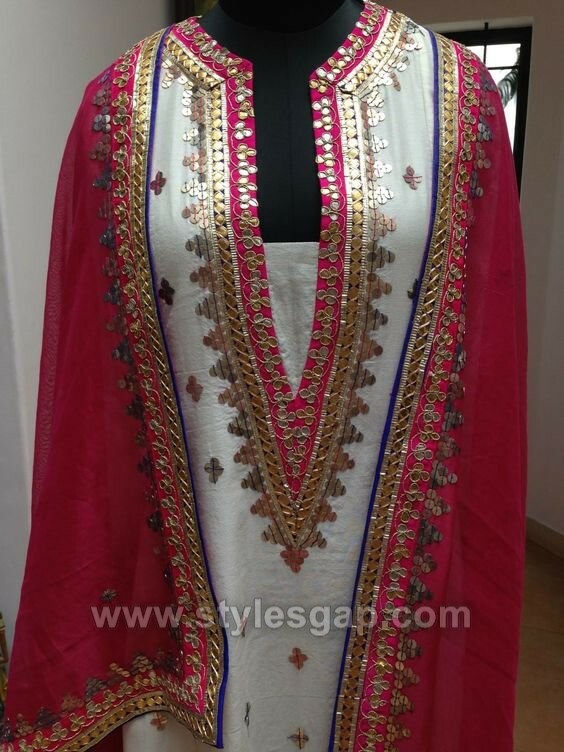 Anarkalis are the most loved and desired dress of the East. 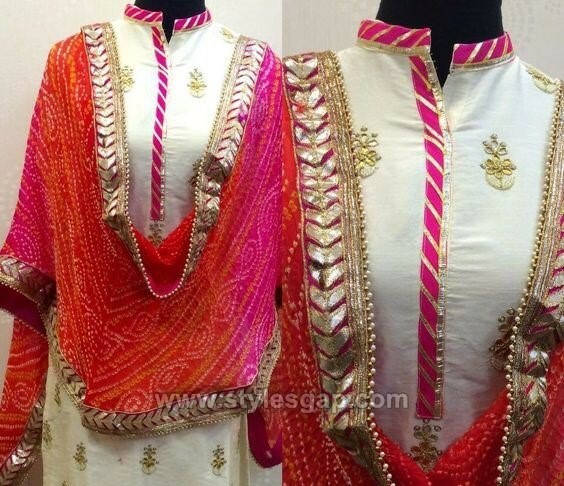 It is one of old traditional dress since Mughal times. 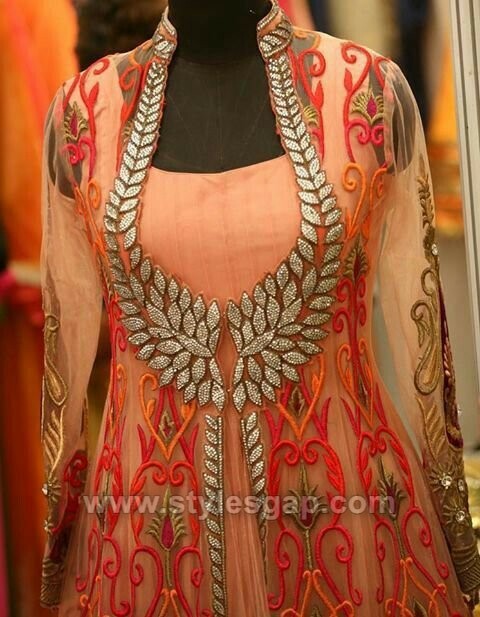 There are different types and styles of Anarkali suits for casual and formal events. 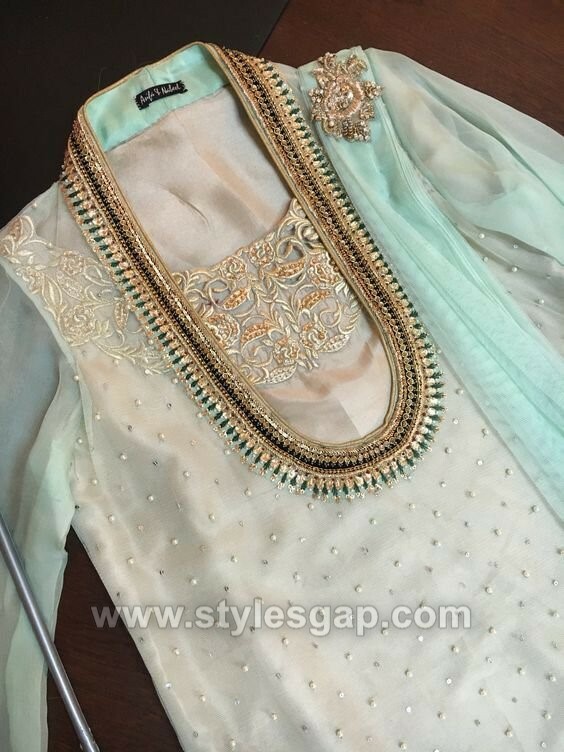 Now we will only discuss the neckline designs of Anarkali suits that we have posted here. 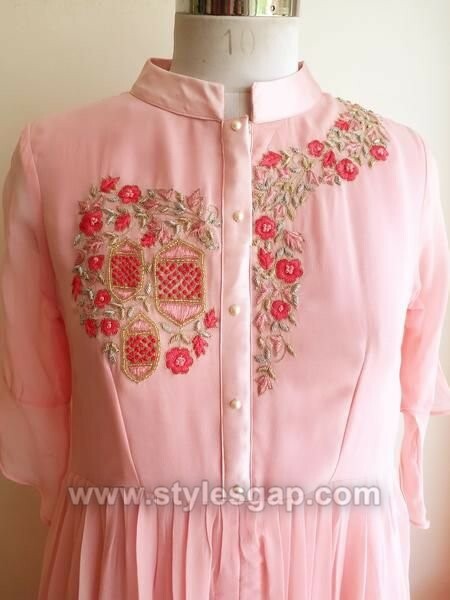 The necklines are decorated with pearls, embroideries, buttons, crystals, threads, needlework and many more. I hope you will love them all. 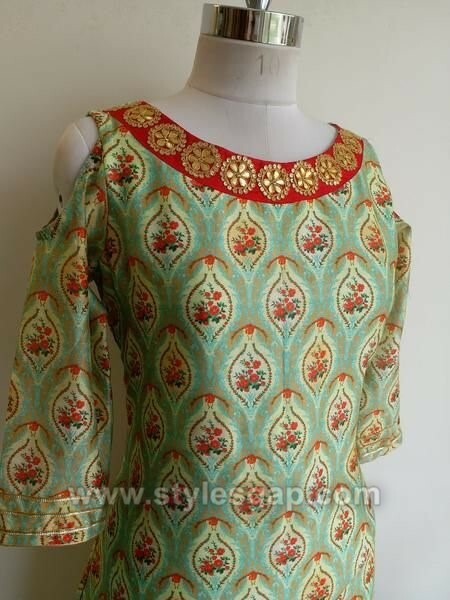 This collection contains tops/ Kurtis neckline designs with beautiful patterns and styles. 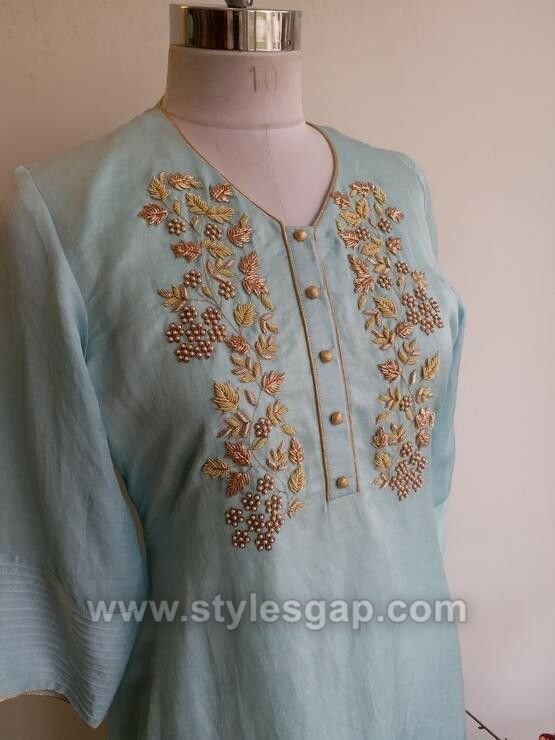 It includes angarkha style necklines, V-shaped, band, collar, buttoned, cut-work, embroidered, lacework and many more. 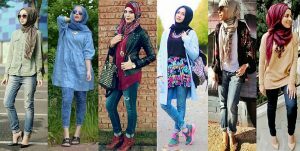 You dress will look adorable if you choose any of the design from this selection. 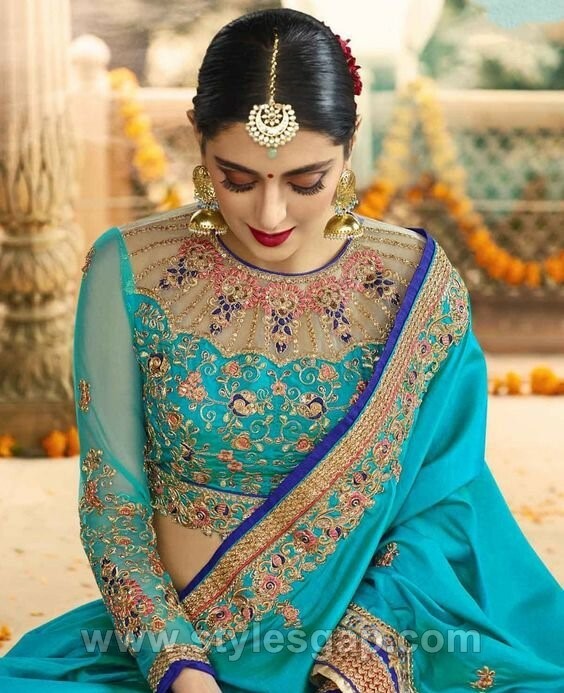 Saree is the national and most popular dress of India. Saree is emerging in the whole of Asia and the world due to its grace and comfortableness. 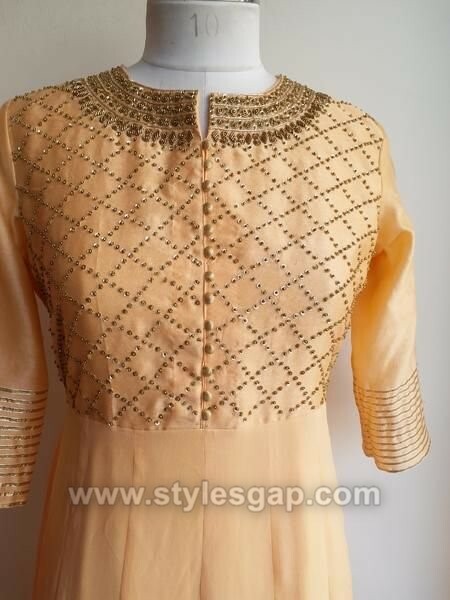 Here we are presenting some neckline patterns for sarees including embroidered, plane, cutwork, thread work necklines. Have a look at the assortment posted below.